500 Watts of “Power on Demand” in a retro styled package. And top quality components from head to toe. 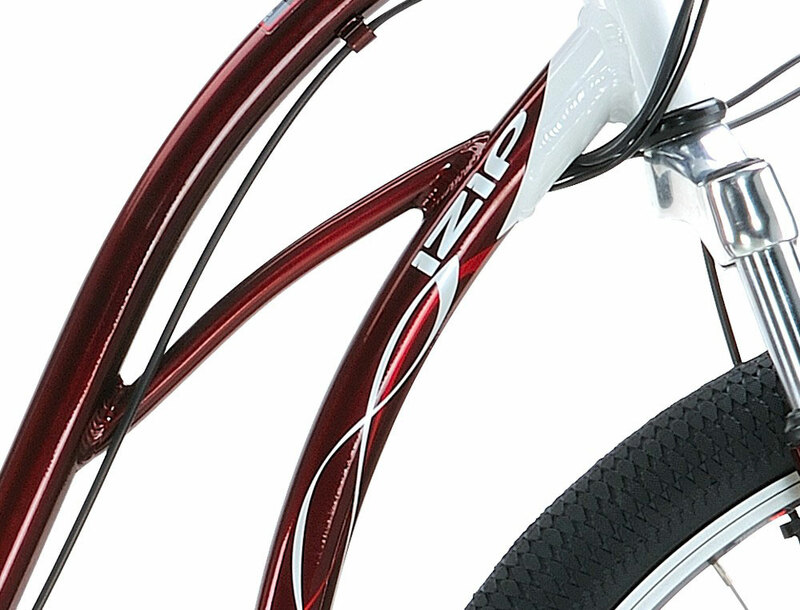 That's the all new IZIP Zuma Cruisers. Old-school simplicity paired up with modern eBike technology and design for relaxed, good times and an uber-comfortable, laid-back ride. 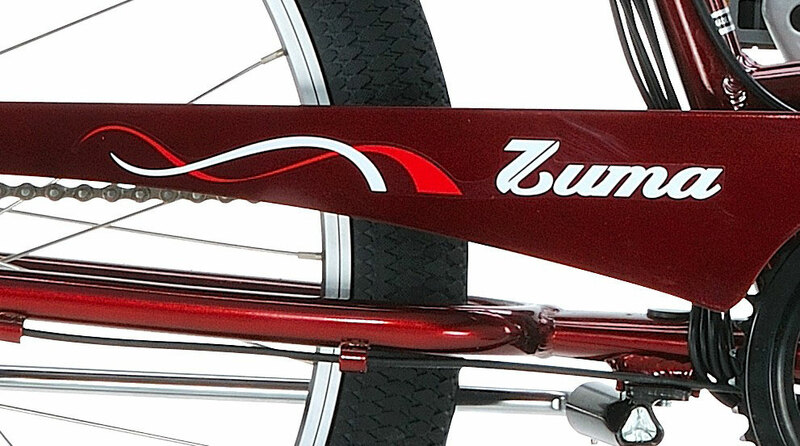 The Zuma is a modern interpretation of the tried and true formula of everything that makes riding a cruiser great, including simplicity: Featuring our powerful, state-of-the-art, 36 Volt/500 Watt Currie Electro-Drive® hub motor, paired with our proprietary PAS/TAG system that puts you in complete control at all times. Designed to give you options of either simple throttle power or pedal assist power that allows you to amplify your human power if you choose. 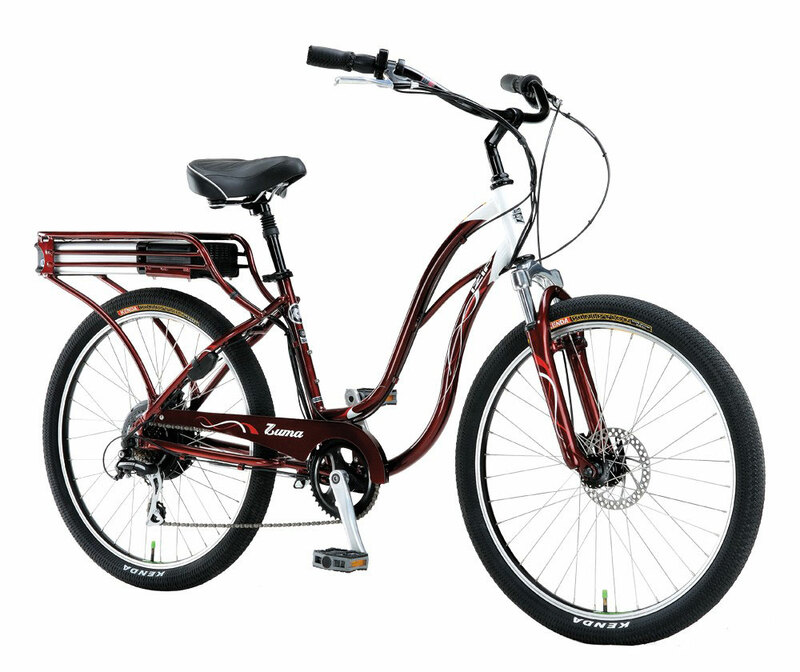 Powered by a large capacity Samsung 36V 11.4Ah Lithium-ion battery pack that easily removes from an integrated carrier platform to allow charging both on and off the bike. A blast to ride and super comfortable - equipped with quality suspension fork and seat post, a plush Velo suspension comfort saddle and leather grips, stable Kenda Kiniption balloon tires with Slime® puncture resistant inner tubes and sure-stopping disc brakes both front and rear. The Zuma is just plain (zoom-zoom) F-U-N! 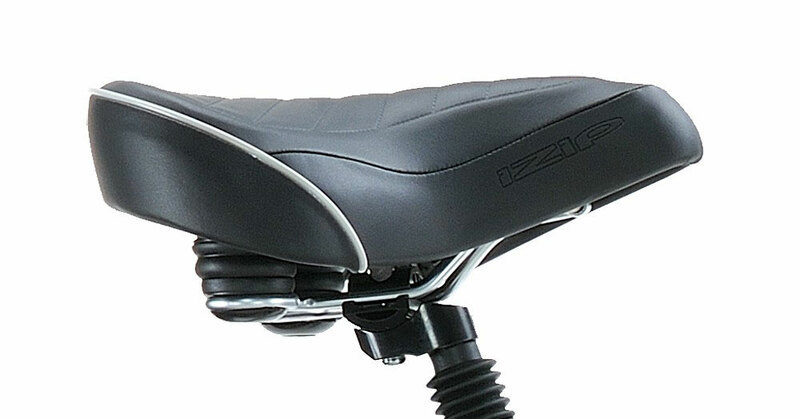 RANGE Up to 16- 22 Miles / 25 - 35 km with Normal Pedaling (Rider Weight, Rider Input and Terrain Contingent). FRAME Exclusive Currie Aluminum Comfort Design, 6061 Aluminum. 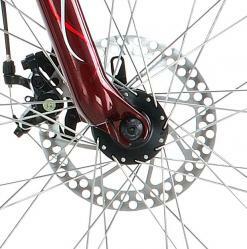 Fully Integrated Alloy Rear Carrier with Easy to Mount Locking Battery Pack System. The Advantage. Rider can select between two power assist modes. The Benefit. TAG allows you to power the bikewithout pedaling at all. PAS mode without throttle stretches range and economizes battery usage. The Advantage. Powerful brushless hub motor system drives the rear wheel. The Benefit. Provides the power you need to climb hills or cut through a head wind.